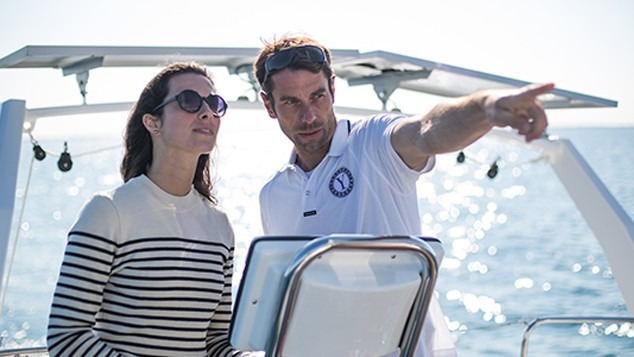 Thanks to its affiliation to the Grand Large Yachting Group, Garcia Yachts offers all its customers technical training provided by EFT, Escale Formation Technique. Escale Formation Technique is the training centre of the Grand Large Yachting group. Intended for all sailors, regardless of their level of experience and type of voyage being undertaken, they offer a lot of technical training to better understand the boat’s equipment and improve your marine knowledge. We are attentive to your needs and are keen to see you complete your project in the best conditions. Our training courses have the ambition to increase your autonomy once on board and to offer you problem-free sailing pleasure. For further information on our training or services, please contact the Grand Large Services team! Use the form below or write to us directly.